Seven-year-old Skylar Montague is one very lucky little girl. 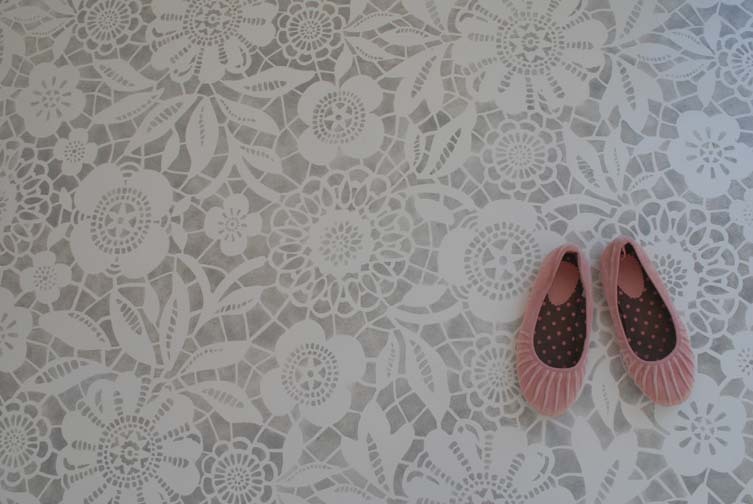 Not only does she have a beautiful, talented, and big-hearted mother (My Marrakesh's Maryam Montague), but she lives in a breathtaking home in exotic, faraway Morocco, where her bedroom floor just got this absolutely dreamy custom lace stencil treatment. 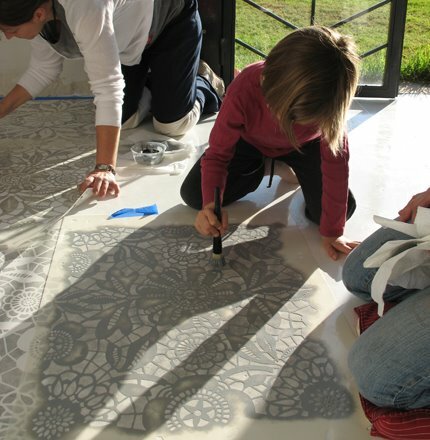 Now Royal Design Studio's Melanie Royals, the California artisan who helped transform Skylar's floor, is selling the stencil pattern she used to create it. 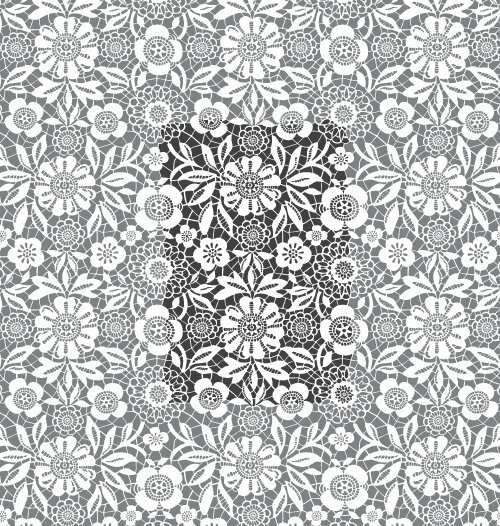 The 27-by-39.5-inch, two-part stencil can be applied to floors, walls, ceilings, or even furniture. that is so pretty. 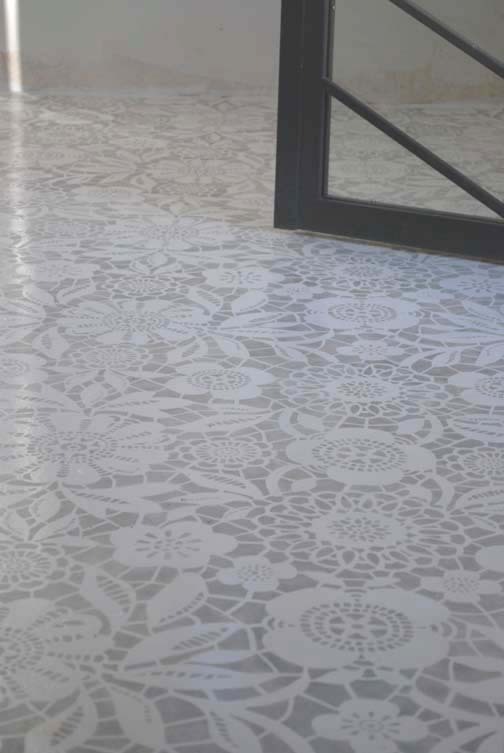 i want lace floors! Oh my, such kind, kind words. Thank you! This floor is truly stunning and I am so grateful to Melanie and the peacock painters. Thank you Leah, for the posting, the link to my Royal Design Stuido website AND the heads up! It's very much appreciated. "More Ways to Waste Time" sounds like my daily life. So many cool distractions here.